If you follow my blog it’s no secret that we love the homeschool science curriculum we’ve been using this year! 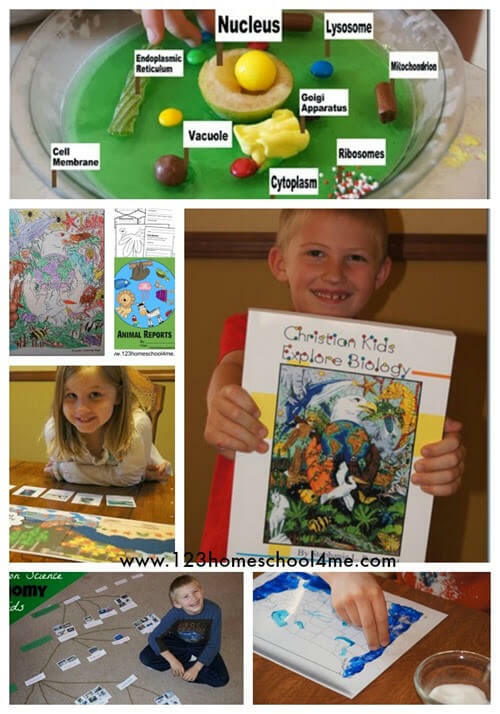 Christian Kids Explore Biology has been fun and educational with lots of hands on activities for homeschooling families to work on together. In case you missed it, here is a sneak peak at our year using Christian Kids Explore Biology from Bright Ideas Press. It has been our favorite homeschool science curriculum to date. We loved the hands on projects like edible animal cells, taxonomy webs, salt water/ fresh water map, and more that were part of our Christian Kids Explore Biology. The information was presented in such an interesting and clear way it was a perfect choice to use with the whole family with worksheets for older kids and coloring sheets for younger learners. This wonderful biology curriculum was also the springboard for many free science printables this year including: Habitat Adventure Game, Biology Vocabulary Flashcards, Animal Reports, and Zoo Scavenger Hunts. I completely and whole-heartedly recommend Christian Kids Explore Science Curriculum for your family.